>>Has THIS one ever been “debunked? You KNOW my opinion of topics like this. Praise to the inventor of the scroll bar. a hint to us? 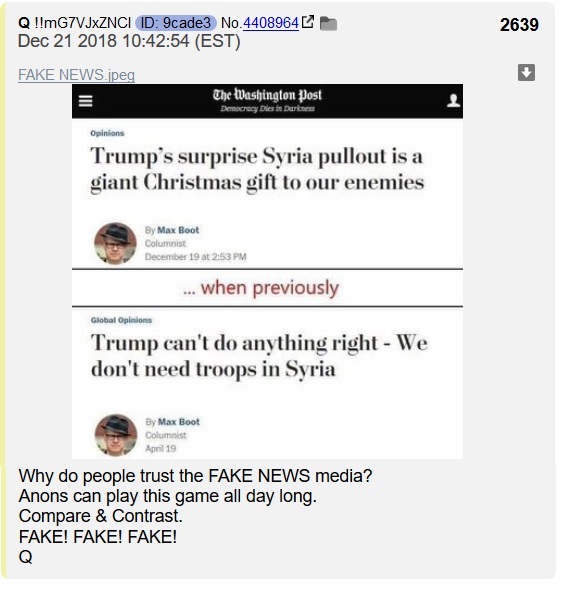 disinformation to make the DS panic? I think most here would get 4/4 like I did on the military history. The snowflakes would flunk it! Two memes last night Flynn n Few good men. Sorry, didn’t mean no reply. Browser froze require maimtence which delayed. Agree 188%. 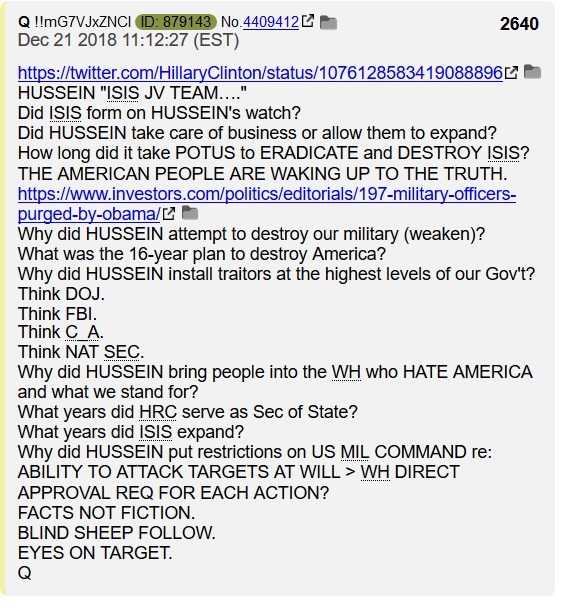 Just heard Q drop, Drats.!!! I am liking the interpretation posted at 1433. Compare and contrast much DS? I will be in DC on the 26th, so LMK. NYPD toughest in the nation. Does the former first lady deliberately bring theses memes on herself? Is that a rotten banana with SJP? ...and organ harvesting in the rat lines. EVIL. Hey, I know some of you guys parley voo frog. Specially you, Lone Palm. Check this out from qmap.pub. p.s. Bad, Q, Bad. I ain't even went to sleep yet. In 2018, the December solstice comes on December 21 at 4:23 p.m. CST. That’s on December 21 at 22:23 Universal Time. It’s when the sun on our sky’s dome reaches its farthest southward point for the year. At this solstice, the Northern Hemisphere has its shortest day and longest night of the year.